We have a winner! Congratulations to Sue R! Attention all teachers and therapists! Have you ever known a child who struggled with learning to tie her shoes? This is an important task that seems basic, but it is actually very complex, and for a child with special needs, shoe-tying can be overwhelming. Fortunately, Karen Dobyns, OTD, OTR/L has written a very special book on shoe-tying that every professional who works with young children needs to have on their bookshelf! 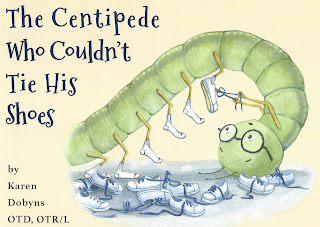 “The Centipede Who Couldn’t Tie His Shoes” tells the story of Ben, a kind and sensitive second grader with visual challenges who is having difficulty learning how to tie his shoes. Obviously, this is a big problem, because Ben is a centipede with 100 feet! What to do? 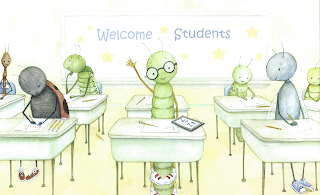 I’m not going to tell you what happens, because I want you to purchase the book, but rest assured the problem is solved when a school occupational therapist enters the picture. This lovely book includes sections that explain shoe-tying, and it will help young children without special needs see the perspective of a child who might need special services and support. 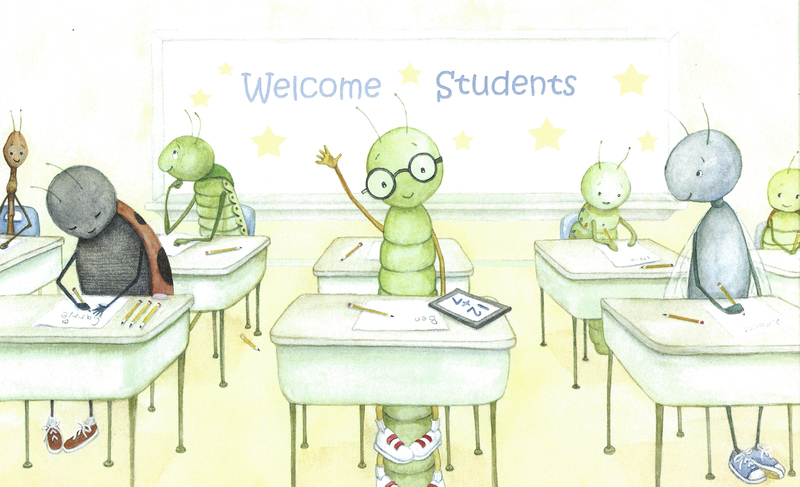 To top it off, the delightful illustrations bring Ben’s world to life! Click HERE to purchase the book on Amazon. Please click HERE to like my Facebook page. 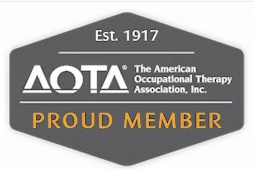 Karen Dobyns, OTD, OTR/L, is a pediatric occupational therapist who has spent her career working with children with special needs in schools, clinics, and homes. She has a clinical doctorate and master’s in occupational therapy. Special note: Karen is a graduate of the University of Tennessee Health Science Center Occupational Therapy, which is where I teach! Everyone at UTHSC is extremely proud of her accomplishments! 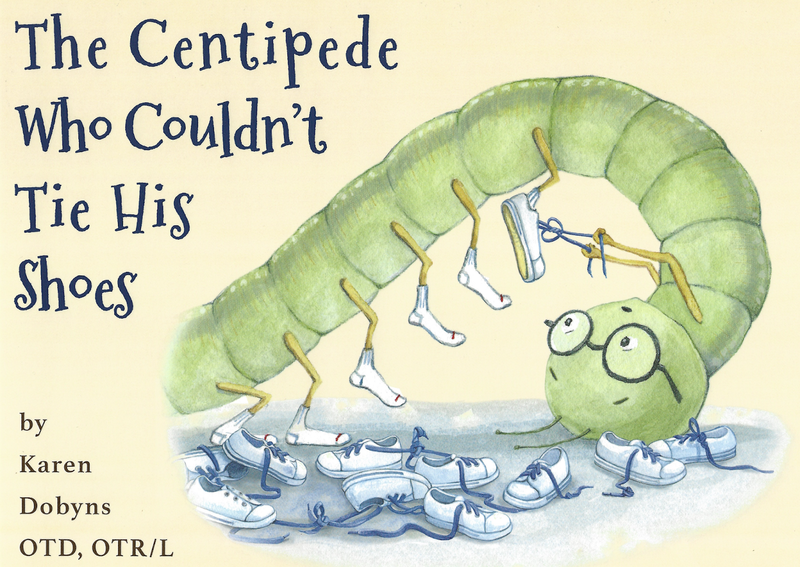 I would LOVE to win a copy of “The Centipede Who Couldn’t Tie His Shoes” asseeing Ben have to tie 100 shoes may really entice students that with my support, they should be able to tie one pair!! I always teach them why we do certain activities: to help you _____. I now get " and why else? and why else?..." as they are starting to realize there usually is several different reason mixed into on "fun" thing to do!!! I want to get them all tying their shoes. 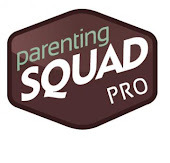 I start with full body gross motor X's then obstacle courses Over, under and through and back to the X's, etc. With support some preschoolers have learned to tie. I also work with a lot of students with visual needs and had a student who was patched so I taught all my students how to find their dominant eye and many tried working on certain things with him patched also! I would love to use this as a resource for my kiddos and shoe-tying! Great pick! 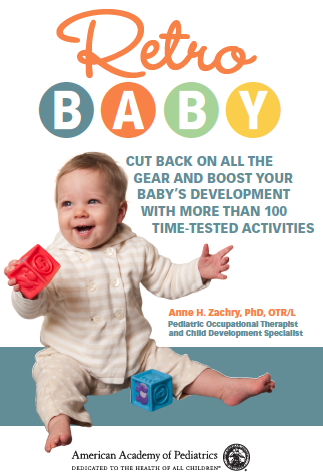 "Retro Baby: Cut Back on all the Gear and Boost Your Baby's Development with 100 Activities"
Click the cover to purchase my new book now! It is important to note that the opinions expressed on this blog are those solely of the individual producing them. The information on this blog is for entertainment, informational, and educational purposes only. This blog is not meant to replace formal mentor-ship from an experienced clinician, clinical competency check-offs, or as a replacement for professional consultation from a qualified clinician. Statements made on this blog are not to be relied upon for decision-making in any specific case but instead are meant to help developing clinicians hone their clinical reasoning skills. Remember to always consult a professional who can best evaluate, collaborate, and advise. It is understood that no guarantee or warranty arises from the information provided or discussed on this blog. All Proceeds from this blog will be donated to the UTHSC MOT Program. 10% Off Your Next Order of $75 or More. Code: PARTNERTEN. Exclusions Apply. Copyright © 2011 Anne H. Zachry. Simple theme. Powered by Blogger.